The SPAR Kirkwood Wildsfees celebrated its 17th Wildsfees this year. The festival is an annual event that takes place in the town of Kirkwood, Eastern Cape. Over 42 000 festival goers enjoyed a medley of food and craft stalls, fun activities and live entertainment. 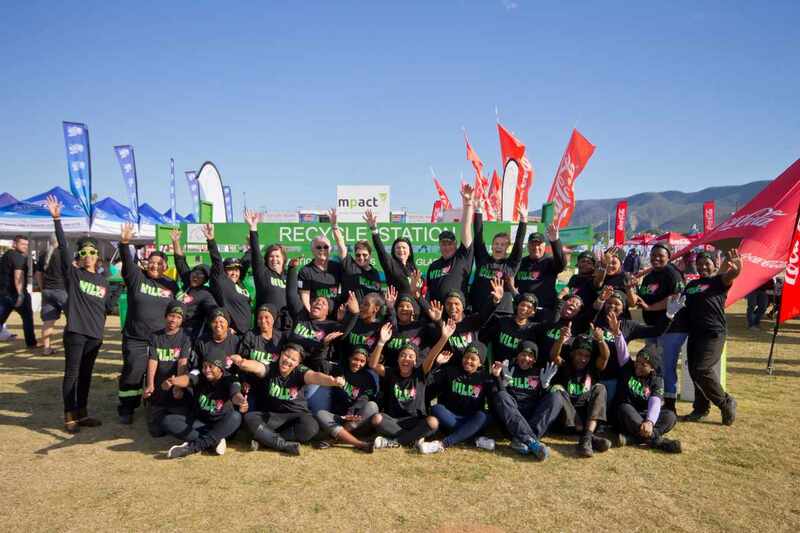 Mpact Recycling, South Africa’s largest paper recycler, in partnership with The Waste Trade Company, sponsored the waste management and recycling facilities for the festival. Recycling stations with clearly marked bins were strategically placed on the festival grounds to ensure that festival goers, stallholders and all other role players had convenient access to a recycling bin. Cardboard Mpact bins were provided for the disposal of non recyclables. Furthermore, grey water, used oil and food waste bins were provided for stallholders. “Since the first year of managing the festival’s waste in 2014, we have found that the public are making more use of the recycling facilities. This year’s bin audits have shown an increase in separation at source, but there is still room for improvement,” said Kay Hardy, General Manager of The Waste Trade Company. The SPAR Kirkwood Wildsfees has diverted a total of 33 011 kg of waste from landfill. According to PRASA, the average global recycling growth rate has been just over 1.5% in the last four years whilst South Africa’s growth rate has increased by 7%. This proves that even though developed countries have better ease of recycling, South Africa ranks firmly among these markets. “In South Africa, we still have to go out of our way to recycle, making it harder to improve the country’s recycling rate; however, events such as the SPAR Kirkwood Wildsfees provides us with the opportunity to educate the public about recycling,” says John Hunt, MD Mpact Recycling.